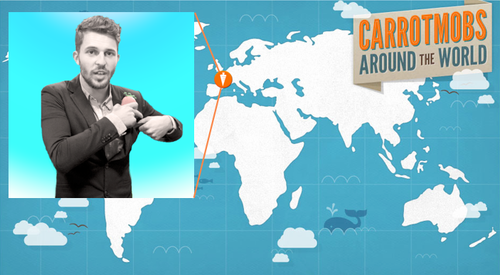 This week, we spoke with Florian who has been leading campaigns throughout France since 2010. 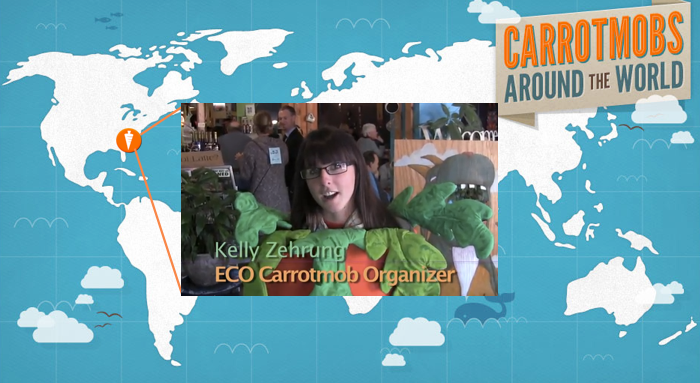 This past fall marked his 10th Carrotmob! Q: What’s your favorite part of a campaign? A: During the magic day - the teams are excited! It’s fascinating to see the enthusiasm of the mobbers. 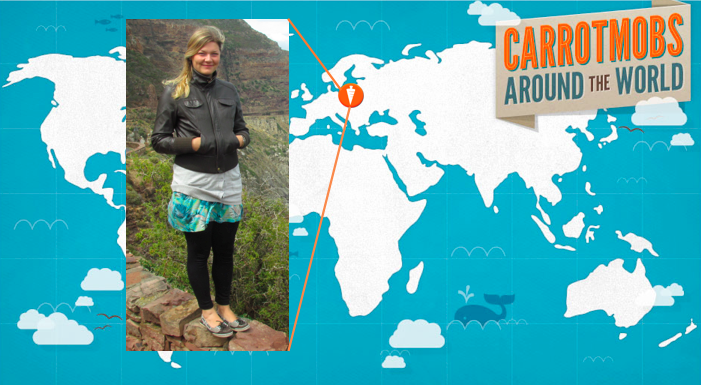 Q: Why do you Carrotmob? A: I Carrotmob because in the wise words of French author Georges Bernanos ”The future is something we overcome. We are not subjected to it, we make it.’’ I am optimistic but realistic. I think it is a civic duty to advocate for a change of mentality towards environmental issues. Wondering what he’s putting in his pocket in the photo? It’s a hand-knit carrot made by his mom who created 300 of them for a Carrotmob!